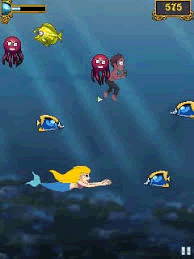 Download Mermaids Treasure 320x240, Mermaids (RU), Mermaids Millions, Mermaids Treasure 240x320, Mermaids Love, Mermaid Poker Challenge, Mermaids Milion Spin, Mermaids Treasure 128x160, Mermaids Treasure 240x400, Mermaids Treasure 176x220, Mermaids Treasure 176x208, Mermaids Treasure 360x640, Mermaids Treasure, Mermaids Treasure, Deep-sea Adventures - Fishing Daren, Championship Racing, Treasure Hunt Free, Treasure Hunt (240x400) Games For Free! Download Treasure Hunt (240x400) game for mobiles - one of the best Java games! At PHONEKY Free Java Games Market, you can download mobile games for any phone absolutely free of charge. Nice graphics and addictive gameplay will keep you entertained for a very long time. At PHONEKY, you will find many other games and apps of different genres, from adventure and action to the logic and racing Java jar games. To see the Top 10 best Java games for mobiles, just sort games by popularity.